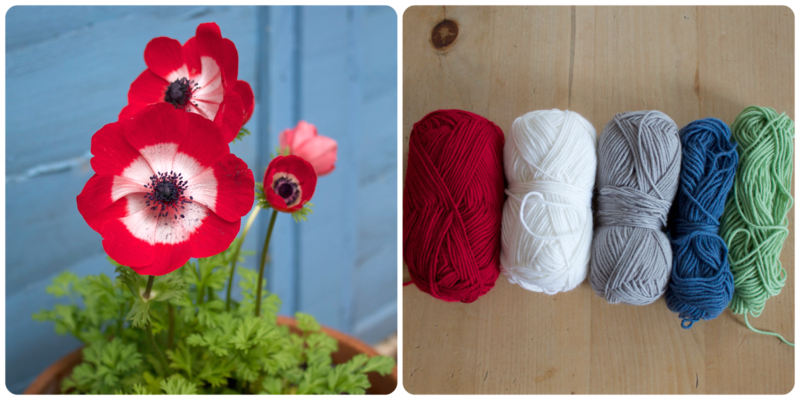 Do you ever feel that you're stuck in a bit of a colour combination rut? I'm like a moth to a flame when it comes to soft pinks, turquoise blues and mint greens but there are some colours and tones that are not even on my radar. Are you always drawn to the same colours? I get terribly impressed with other people's clever use of colour. 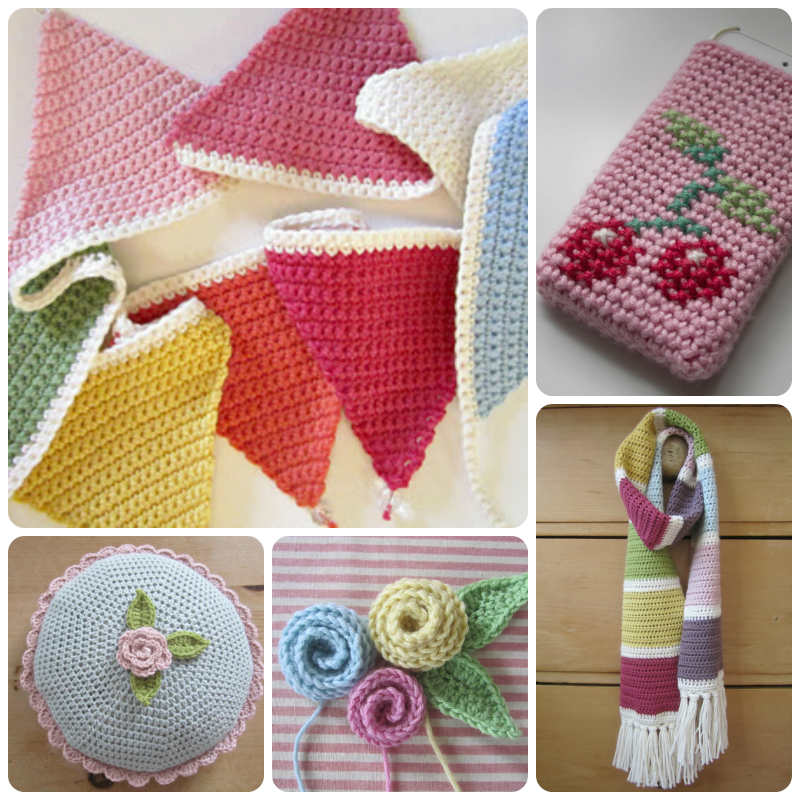 Some of my recent favourites are Maaike's blanket, Wink's wrist warmers, Nikki's chevron stripes, Vanessa's scarf, Suzie's Humbugs and Sandra's version of Suzie's Humbugs. For me, all of these combinations have an element of surprise or daring about them and I love that. It's actually really good fun and does get you thinking outside the box, if you know what I mean? It also makes you realise which colours you have perhaps been avoiding. I was completely struck by the lack of dark colours in my stash. 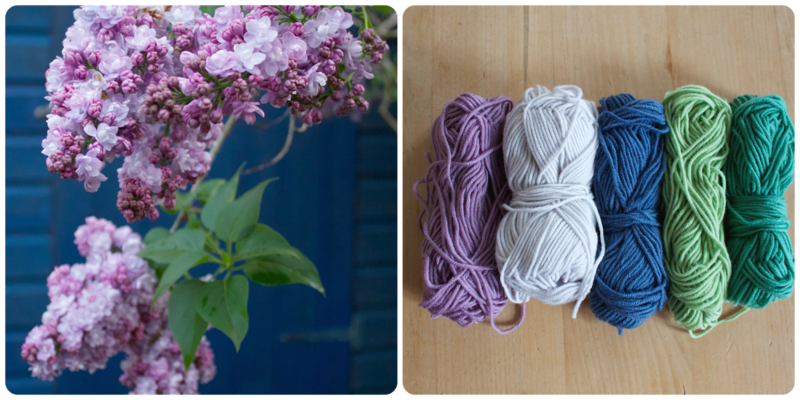 Top of my yarn shopping list is now a charcoal grey and a dark clay brown. I think I shall also keep my eyes peeled for a few red-based tones. It's all very well having a selection of pretty colours to choose from but sometimes it takes a more earthy tone to frame or anchor them and stop them being too garish. It's so clever, don't you think? Of course, colour combinations are very much a case of personal taste and even mood. I'd love to know your favourites. Even better, if you fancy playing my 'photo inspiration' game and blogging about it, do share a link with me. I love all of them! But particularly 1, 5 and 8 from the top down, I am no good at colour matching, and have found this method to be the best way to find colour combinations that work well together. Thank you for your beautiful blog! I love your colour combos! I tend to do something similar when I'm looking for inspiration. 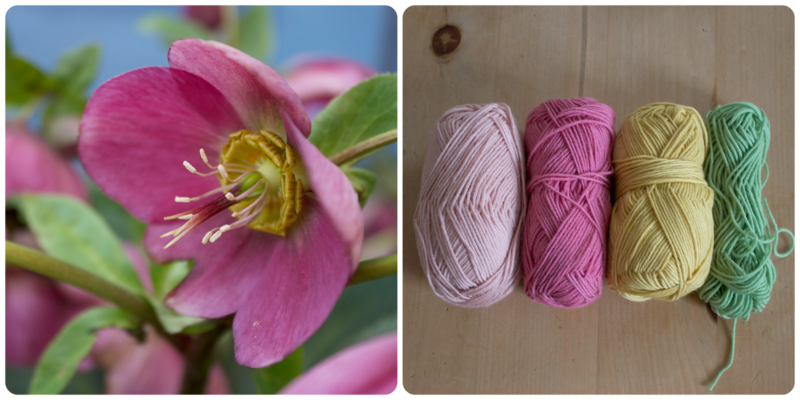 I especially love the yarns that go with the pink Hellebore flower and the lilac on the blue background! The most original is the street of coloured houses! Great idea! Such a great post, it has really got me thinking. Love your photos with matching colours ..... brilliant! I love how you created your colour selections, it really is a very good idea. I have a couple of colour palettes that I have always tended to stick to, but recently things have been changing and I have been drawn to include other colours I never would have. I now use a lot of grey and browns and tans. These seem to balance out the brighter colours well and ad more depth to the gentler shades. I'm using more orange, which is a colour I loathed....but I can only pair it with certain colours to be able to stand it! The same with purple. I cannot take purple....even worse LILAC! I can only stomach a heathery shade of purple if teamed with a deep or olive green. Then it's ok! I saw a colour way on pinterest that I adored. Different for me and I've used those shades in my latest project. I'm loving it, but I went off piste with the pattern and got annoyed and put it down for a bit. I'll pick it up again soon though as I really do love the new shades. Have a lovely day H.
I'm chuckling at this message Vanessa. On Sunday I was at Hen's discussing a quilt she's making me and I stated that it must not have any purple in it! At one point I was shown some fabric and it had little bits of ourple in it! I think I shouted "ABSOLSUTELY NO PURPLE" hehehe! 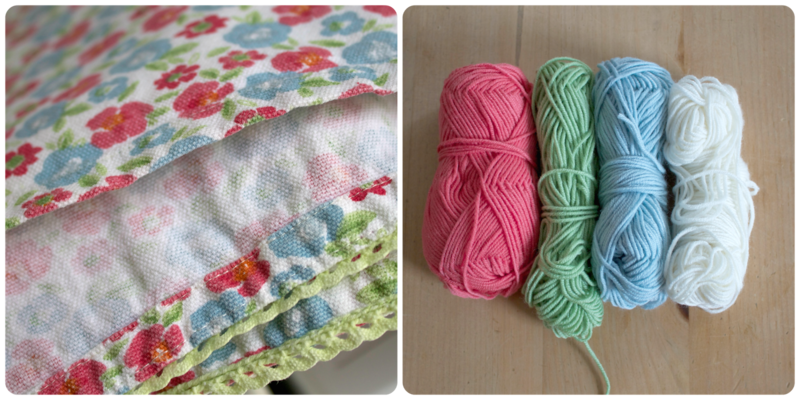 I've just ordered some pastels and browns for a big blanket project and for a change of colour palette. Sorry Heather. Helloooooooo!!! 👋👋👋 I love your crochet and think you pick lovely colours. I think that's always the way when we spend time making items. We see the colours differently to someone else. This is a lovely blog. I'm really taken with colours and love to read the Colour Collaborative blogs. I struggle with white or cream but I love pinks and purples with greens, especially a bright green. I am doing a baby blanket using a square each of rainbow colours but as it is a little boy I have 2 greens and 2 blues, so 9 rather than 7 colours. When I pile the squares together they feel so vibrant and exciting. I can't wait to get it finished but will be sad to see the colours go. Its so easy isn't it to always be pulled towards the old familiars. I absolutely love how you have matched your colours to your photo's, such a clever idea. When I look back at all the things I have made I very much tended towards the neutrally beigey, taupey colours,then came grey and slowly , slowly a few little colours are beginning to creep in. Its definitely something that I have to make a conscious effort to look at though. The link you recommended the other day with all the colour ideas has been really interesting to look at too, as have all the other replies to this post. What an interesting post. 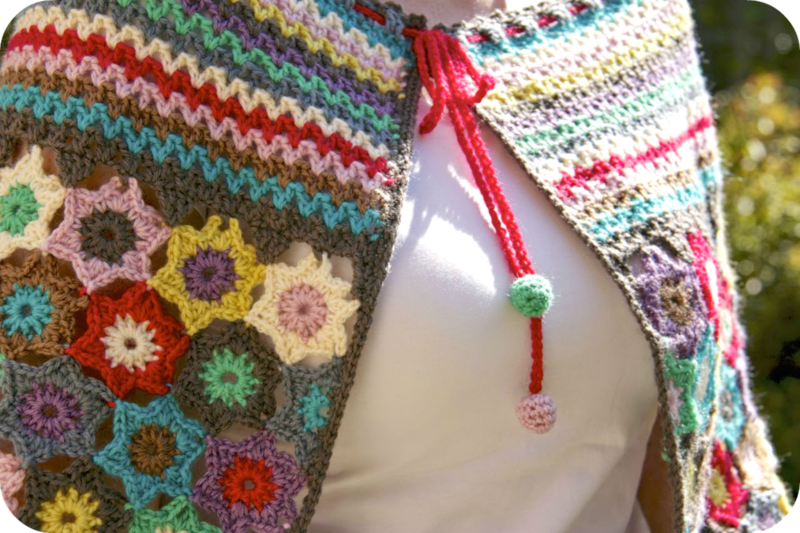 Recently I've been compiling colour palettes on pinterest to use as ideas for colour combinations for crochet projects. I find that sometimes colours that work well in a particular medium (ie. paper) don't work in the same way in yarn and viceversa. I do struggle with colours that are not in nature, there are some pinks for instance that sometimes I find a bit odd and difficult to combine. I have been recently working on my Nordic shawl, which I am loving as a project but I have struggled a bit with the colour combination. I chose celadon green as my base colour and realised that it is not the easiest colour to combine with.... I look at it as a challenge but it can definitely make or break a WIP. Of your colour palettes, I see number 3 and I very much think is you. I associate you with those colours. I also love how Sandra has very successfully combined a variety of colours in her cape, I hope she creates a pattern for it!! Such a wonderful post I just love it, I'm alway insprired by nature when it come to colour. I have just discovered your blog this week. Some lovely things and photographs. I definitely find I struggle sometimes with colours. I always thought I was pretty good but there are occasions when I sit back and look and think where was my brain when I came up with that idea then:-) still it's nice to know I am not on my own.